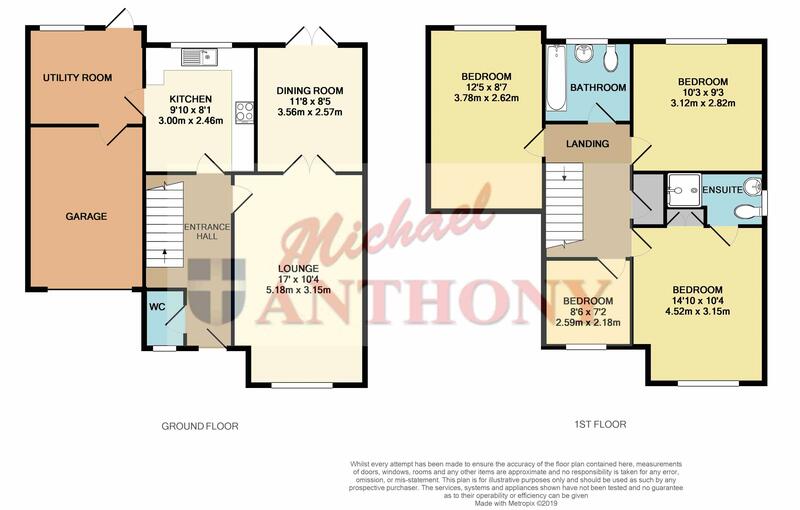 Michael Anthony are pleased to offer for sale a modern and spacious four bedroom detached family home. The property is accessed via the entrance hall, on the ground floor there is a downstairs cloakroom, to the rear of the property there is a kitchen with access to the integral garage. To the right side of the property there is a lounge which opens up to a separate dining room which has double doors leading to the garden, The first floor has a master bedroom with en-suite shower room, there are also three further bedrooms and a family bathroom. To the front of the property there is a driveway for multiple vehicles and a garage.